Thank you for visiting! 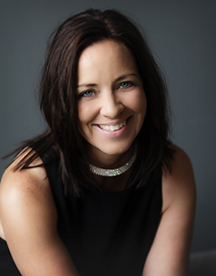 My name is Amy McCae and I am a Certified Life Coach and Mindfulness Meditation Teacher. I want you to have the support, tools, and resources for you to live a happy, peaceful, and successful life. My passion is teaching mindfulness with a focus on self-awareness, emotional intelligence, and relationships so that you feel confident, healthy, and exited about life. Every person in this world has their own unique story and skill set as well as things they are passionate about. When you put these things with mindfulness training you will be amazed at the life you can create and the impact you can have in the world. Amy's wide range of holistic credentials position her as an expert. She is a Certified Life Coach, Certified Mindfulness Meditation Teacher, Certified Personal Trainer, Certified Sports Visualization Specialist and Certified Mind Body Fitness Coach. Amy studies with Mindful School of California. She has also completed phases 1-4 of Electric Magnetic Field Balancing, completed training for the Emotional Freedom Technique, studied The Reconnection, Shamanism, is a Certified Body Talk Access Practitioner, and Reiki Certified. Amy has studied the Silva Life System extensively and is a Silva, Ultra Silva, and Silva Intuition graduate. Amy was also one of only 500 in the nation to receive Welcoa's certification in work place movement and she also completed studies on women's empowerment. 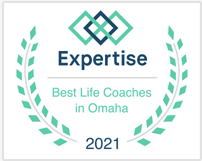 Amy was rated the #2 Life Coach in Omaha by Expertise in 2017.